Campaign Styling with a fresh, high gloss twist! 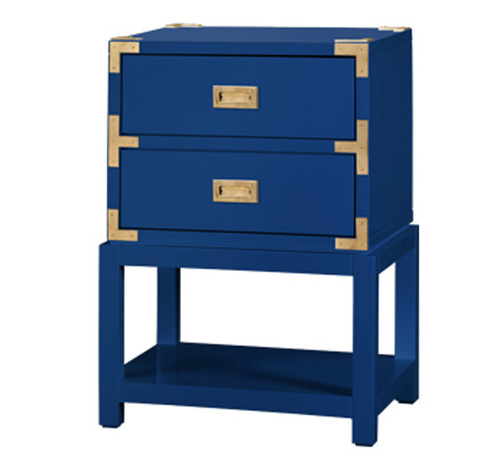 This stunningly versatile side table will work bedside to chair side and any place in between where a pop of color and storage are needed. Place two pieces together behind the sofa or in a foyer. High Gloss Lacquered Wood, Stained Interior with Full Extension Glides, 1 Fixed Shelf, Polished Brass Handle and Gold Accents.